We deeply mourn the loss of Dr Rasalingam, the founder of our Tangata Tiriti – Treaty People education project. He was an inspiration to us, a leader and a guide. Dr Ras was an invited keynote speaker at the national Treaty Conference in Glen Innes in 2000. He explained that new migrants and refugees receive no education about the Treaty of Waitangi upon entry to Aotearoa, and he clearly challenged the educators there to provide Treaty education for all newcomers. He said “New Zealand is the only treaty-based country in the South Pacific and as Immigrants and Refugees in Aotearoa, New Zealand, we should be well educated as regards this treaty” (Dr. Ras, 2000). He went on to guide and encourage our Tangata Tiriti – Treaty People education project from small beginnings to a national project celebrating its 10th anniversary this year. Until his illness, he attended all meetings, and often arranged a Treaty speaker for the Shanti Niwas elders on Waitangi Day. When his illness kept him at home, we visited him to take him news of our ongoing work. We deeply appreciated his leadership, we loved him personally, and we will miss his steadfast presence very much. May God be with you, Dr Ras, thank you for giving us so much of yourself. 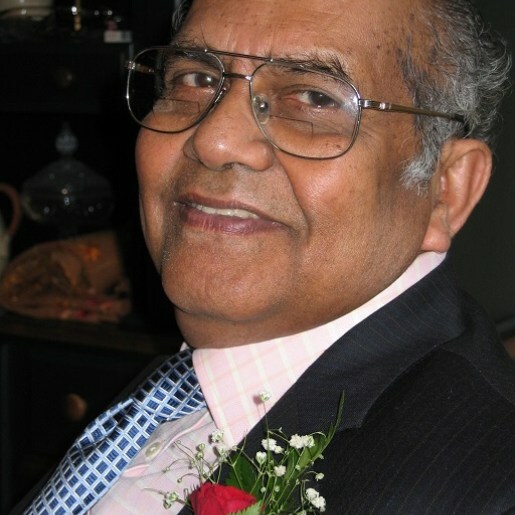 Photo of Dr Ras originally posted by Indian Newslink.